Bidding on lots at Lauritz.com is always done in the national currency of the country in which the auction Lauritz.com auction house is located. 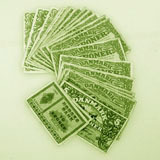 Currency conversion follows the language chosen on the Lauritz.com web site. Each lot displays the estimate and the highest bid in both the currency of the Lauritz.com auction houses location and of the language chosen on site. These amounts are meant for reference purposes only. Payment is always made in the national currency of the country in which the Lauritz.com auction house is located.